Through life, (living) here in this body, in this lifetime on Mother Earth, is all about experiencing thoughts, feelings, hearing, seeing, emotions and most of all listening to our inner being, connecting with our Soul/Spirit. Here we are, on this beautiful blue planet, spinning round and round and taking us out into larger circles with the cycles of the moon, the sun and other planets. We have no control whatsoever about that, and yet we exist here in the intelligence of what can sometimes look and feel like chaos, yet everything is in synchronicity. We all enter this life on different vibrations and that vibrational level has to do with experiences from past lives, also what has be bought through from the ancestral lineage, experiences in the womb from the world around us and our childhood experiences and lifetime experiences. Hence we attract different situations in our life. We may have thought’s, “Why does this keep happening to me?” Or “I don’t understand why that person could be like that,” And many other thoughts and feelings that keep running through our mind. This is a 3rd Dimensional and also a 4th Dimensional planet. 4th Dimension is time, meaning it takes time for me to walk from one room to the other, not the time of a human clock. In this dimension we experience, challenges and support, sadness and happiness, joy and sorrow, hot and cold, day and night and the list goes on. This all makes the The Whole, the Tao as it is called in the Chinese philosophy. Everything is part of the Whole, even the things we don’t like. Many people tend to put on ‘Rose coloured glasses’ so most people have lost the art of using their natural born intuition, and keep staying in situations or not empowering themselves enough to know that each individual has the power to change the way they feel. When we stay stuck in any situation in life, be it, relationships, career or finances another more denser energy can enter our ethereal body which may then cause a person to get stuck in life. Many people want to change the other person in their life, but rarely does that work, as the only person that needs to change is the one that is asking the other to change. In life, some people become locked into, what is called ‘The Karpman Triangle,’ meaning the Victim, (poor me) the Rescuer (let me help you) and or the Persecutor, ( it’s all your fault). When a person steps out of that unrewarding triangle and starts observing and accepting that person for who they are, or moving away from dysfunctional relationships and start taking responsibility for themselves, transformation begins. If you are wanting to be in a relationship and/or are always attracting a person that is not committing, or is abusive in anyway, and you keep staying in it because you feel that’s all there is, or they’ll change, that’s because your whole being is in a vibration that accepts that behaviour. This is an the unseen energy, that is vibrating within you and around you. energy, running at a certain vibration level. If that vibration is sluggish or low because of situations that have happened to you then you will surely attract others that are on that same vibration, therefore you kind of get caught in a cycle, very much like the mouse in a wheel and not been able to get out of it. Once you recognise this re-occurring pattern, then you can start shifting it. This is when a professional can support you, it can be with a Psychic Reading that helps implement change, healing’s like Kinesiology, Hypnotherapy, going to a very good Shaman, Kinetic Healer or any other type of healing that is right for you, including the path of orthodox medicine or counselling, if necessary. This is a process, so the more you give yourself permission to take the time to look within and see the pattern’s that are causing you to attract the same scenario’s in your life, the sooner you can start recognising this and begin the healing process the sooner you will be in a place of Empowerment. This way your Spirit, your mind and your body are in balance and begin to work together, attracting better relationships and situations. In your lifetime you will feel and know sadness, joy, happiness, anger, laughter, peace etc, this is part of experiencing life. Remember this, nothing stays the same, our infinite being is eternal, but our experiences here on this earth is forever changing and/or evolving. If anyone says they are positive all the time, they are not, that is a fantasy and an impossible task. 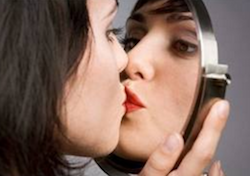 When we have expectations on ourself and/or others, we are setting ourselves up to be let down. It’s about observing our emotions, our feelings and not getting stuck there, but if you stay in that energy too long that is when you need to seek help. Acceptance is the key to everything, accepting that this is the way it is for now and this too will change, just like the seasons, nothing remains the same. If you don’t accept a situation or a behaviour, it is time to take steps to move away from that vibrational energy that is no longer serving you, then your vibrations and your life begins to shift. The more we accept all of our emotions, then we will feel more balanced, more whole, than we’ve felt in the past and this opens the door to attract new situations that are what we are desiring and deserving in our life. I look forward to hearing from you and supporting you on your life journey. 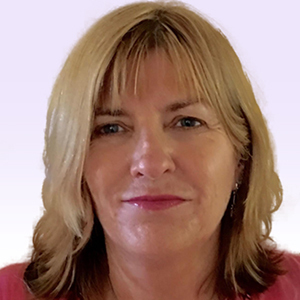 Gwennie will support you in offering clarity in situations that are causing anxiety and/or stress, so you can have a new perspective on life's challenges and move into a more loving and joyful direction.